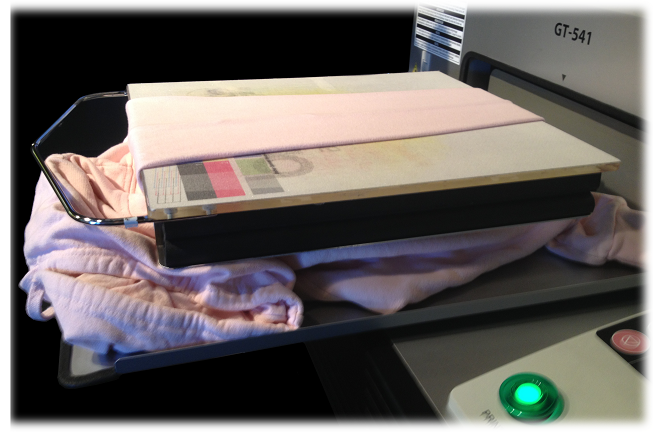 Print FASTER on More Substrates without the use of Clips, Bands or Tape! Why Are the Gripper KitsSo Beneficial? * Print on more substrates. * Be able to increase production numbers. * Minimize misprints & head strikes. 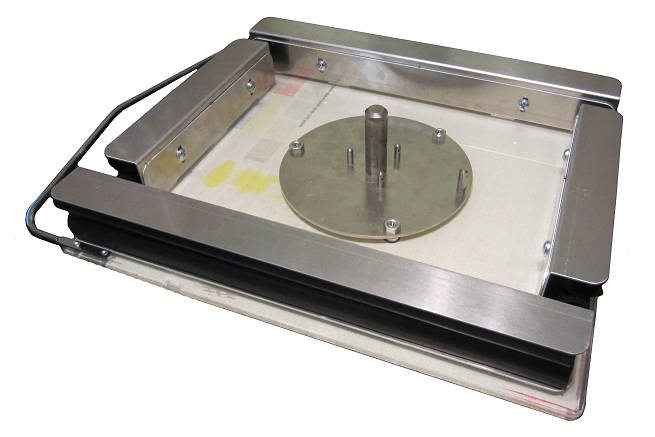 The Gripper Kit currently is only available for a 14" x 16" Adult Platen. It comes with two (2) 16" channels and two (2) 9" channels with industrial strength adhesive to mount under the Adult Platen. what comes in aGripper Kit? Buy a Gripper Kit Today! 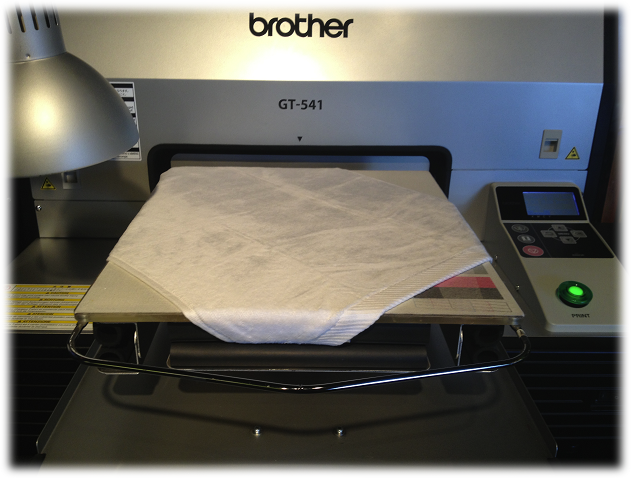 CONTACT YOUR AUTHORIZED GT PRINTER DISTRIBUTOR TODAY!. The Gripper Kit can be purchased through an authorized GT printer distributors. Contact your GT distributor to get your Gripper Kit. For Continential USA GT users, you can purchase a Gripper Kit online. Below is a PayPal Buy Now button for GT users in the USA to purchase a Gripper Kit online. This is limited to shipping to addresses in the continential USA due to a flat rate shipping fee of $12.00. If you are outside of the USA and would like to purchase a Gripper Kit, complete the contact form below and we will provide you a shipping quote. Below you will find pictures and videos of the Gripper Kit being used for printing on to different types of items. 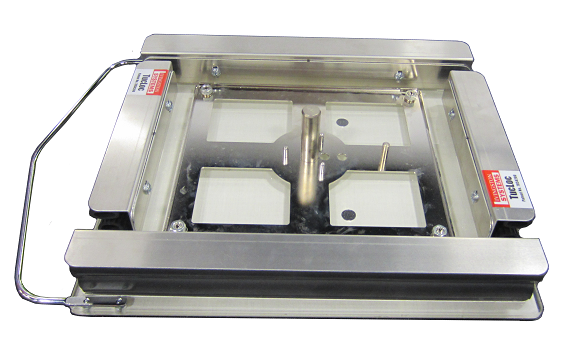 Bottom view of Brother GT-541 / GT-782 Adult Platen with Gripper Kit Installed. 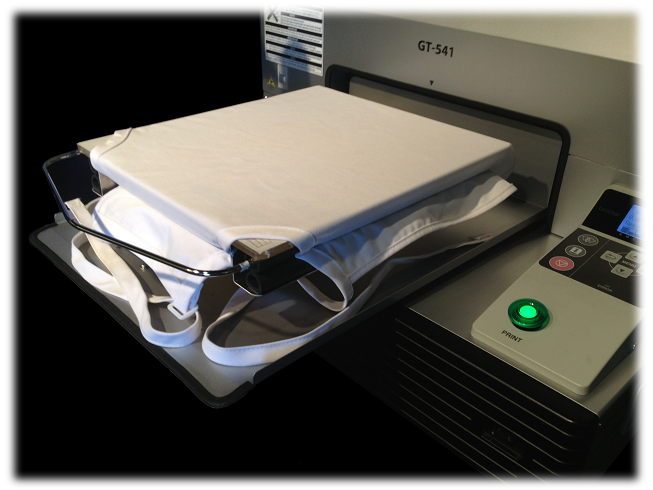 VIDEO: Click Here to watch a video of the canvas bag being printed! Gripper Kit used for printing on a Long Sleeve. Gripper Kit used for printing on Short Sleeve. 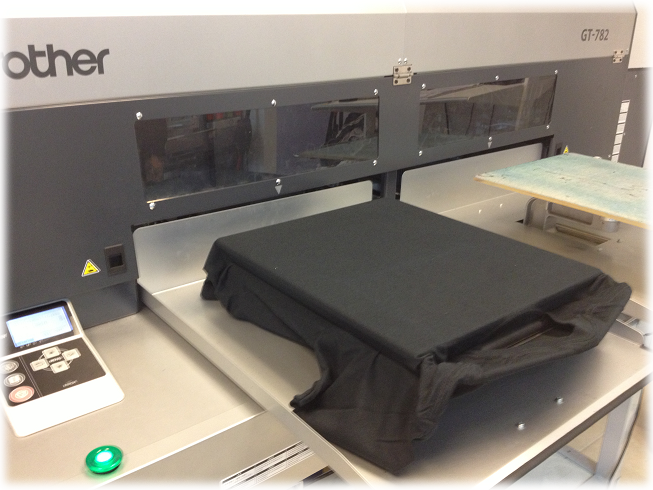 Gripper Kit used for printing on a Hoodie Sweat Shirt. 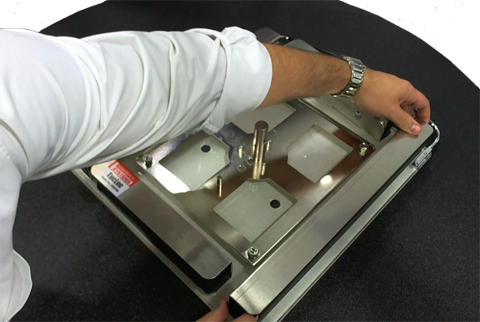 Below is a video showing how to install the Gripper Kit on an GT Adult Platen (14" x 16" size). NOTE: It is important to place the side channels (16" in length) just inside where the metal hanger attaches to the acrylic top. Below are some of the most Frequently Asked Questions (FAQs) regarding the Gripper Kits. If you don't find the answer to any question you might have, please feel free to use the contact form below to ask a question. Question: Should I use the Gripper channels on all types of garments including t-shirts? 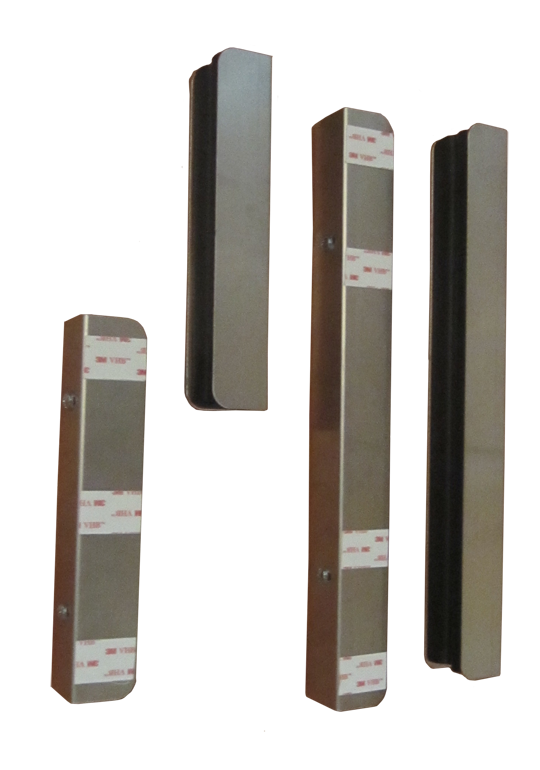 Answer: The gripper channels are really designed for printing on to thicker items (i.e. hoodie sweat shirts, tote bags) and printing in specific parts of a garment (i.e. long sleeve prints) that would typically require a specailty platen or the use of clips / bands / tape to hold the garment in place. 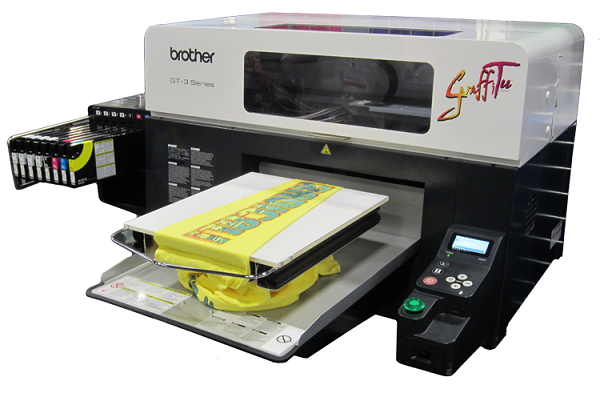 The gripper channels are not required printing on t-shirts. 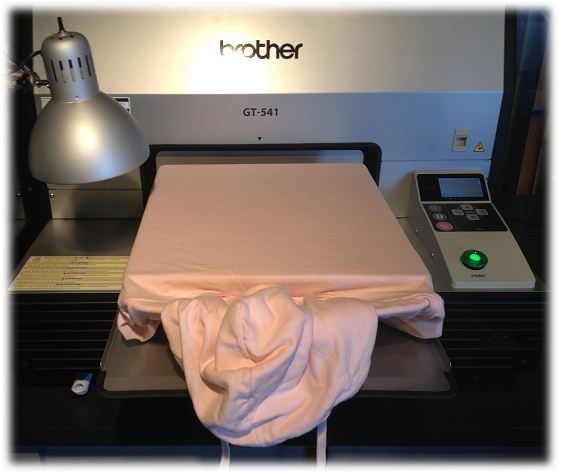 Some GT users have found it helpful to use double-side platen tape or a waterbased adhesive when printing large size prints on dark garments to prevent the white ink from spreading the garment fibers out. The Gripper channels will help preventing the fabric from shifting or spreading out as well. Question: How does the Gripper Kit mount to the existing GT Adult Platen? 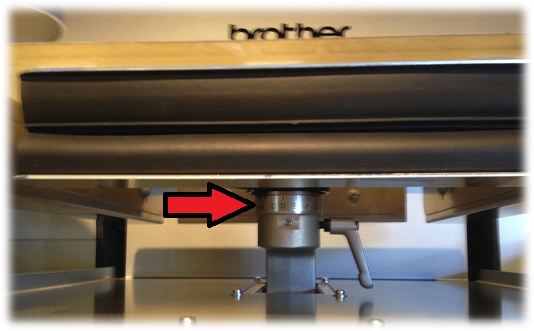 Question: Can I still adjust the height of the platen using the Platen Height Adjustment Lever? Answer: Yes, the Gripper Kit does nothing to alter the GT Printer and there is plenty of room to move the Platen Height Adjustment Lever. The Gripper Kit does require the user to bend down more to see what setting the platen is on. Question: Does anything need to be done to the Grippers to allow for thicker items (i.e. Zipper Hoodies) to be used? Answer: The gripper channels have two screws that allow for the gap between the two pieces of rubber to be adjusted for thicker items. Simple use a screw driver to increase or decrease the gap as needed. Click here for a video showing how to adjust the gap on the gripper channels. Question: Does the Gripper channels add additional weight to GT platen that could cause damage to the printer over time? 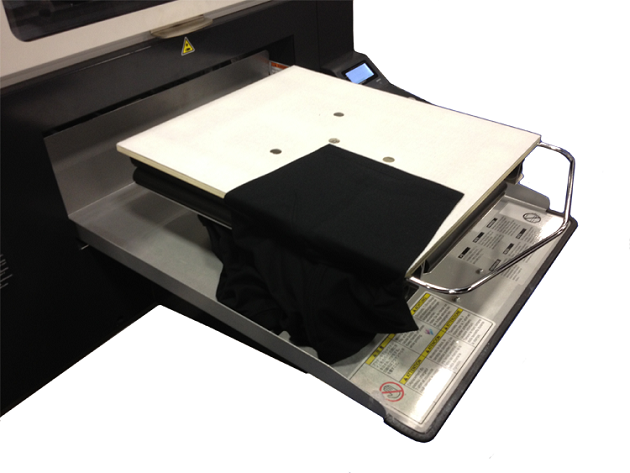 Answer: The weight of the Adult Platen with the Gripper Kit fully assembled weighs less than Oversized Platen that is offered on the GT-782 printer. Since the same or similar components are used on the other GT printers, there should be no issue with using the Gripper Kit. 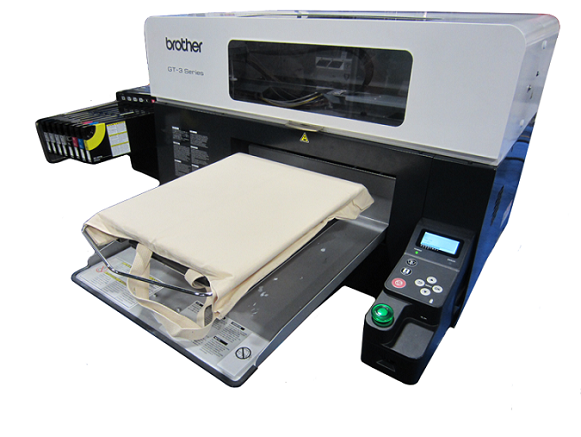 Question: Can the Gripper Kit be used instead of double-sided platen tape or waterbased adhesive to prevent the garment from shifting when printing large designs on the GT-782 printer? Answer: Yes, the Gripper Kit can be used as a substitute for both products mentioned above because the gripper channels will hold the garment in place. It will also help prevent head strikes if you prefer to print closer to the dark garments. If you have a question regarding the Gripper Kit, please complete the form below and we will get back to you as soon as possible. Being an organization that has been granted a patent, we respect the intellectual property rights of other companies. We worked closely with Livingston Systems to create the Gripper Kits for GT printers and have licensed their intellectual property rights found under U.S. Patent #7,854,200. Our partnership with Livingston Systems has resulted in our company acquiring the exclusive rights to the Gripper Kit. Authorized Brother distributors can complete the contact form above. 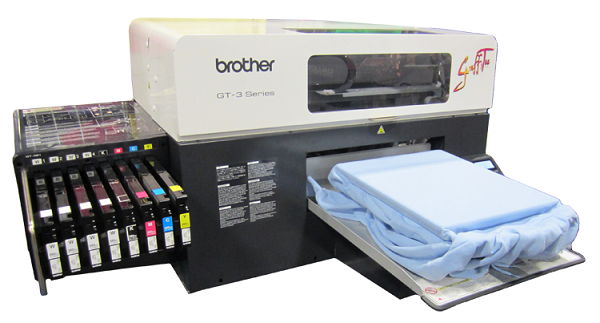 LEGAL NOTE: The use of Brother®, GT-541®, GT-782® and GT-3 marks are for identification purposes only. No rights are claimed to them and they are only used for identification purposes only.